The wisdom of this letter speaks to us across the ages as every issue James addresses is as urgent and timely today as when he first wrote it. For the person who wants to be wise, time spent soaking up the wisdom of James, the half-brother of Jesus, is time wisely spent. This book is a blessing. The whole subject of the book, which is the book of James, is congruent to the lessons I plan to teach in Sunday School. In reading Christian devotional books, one has to be discerning because a lot of 'false teaching' are circulating. And with good, convincing words, it will be very easy to persuade a reader. But this book by Michael Youssef spoke to me like God is speaking to me. It is Bible-based as it revolves around the book of James, and is filled with truths that communicate directly to the heart. When I started God, Just Tell Me What to Do, I knew that God directed me to reading it, and that the Holy Spirit was speaking to me. Again, a blessing. I learned a lot. I was reminded of how faith really works. Every chapter, every paragraph is really inspiring. It took me a while to finish this because I was taking down notes. This book is perfect for further studying and/or relearning the truths about faith. The discussion follows the order of the book of James. The five chapters of James were discussed thoroughly citing other Bible verses so that readers will have a deep understanding about faith. I also liked the style of writing and the organization of thoughts. The discussion was easy to understand, even deeper thoughts were easy to grasp. I did find myself nodding while I was reading. Haha! 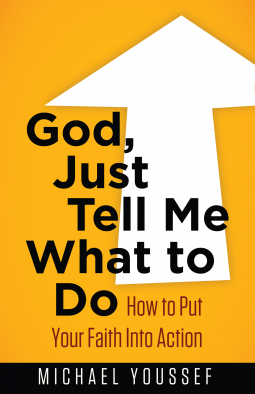 God, Just Tell Me What to Do taught me a lot about faith. It can be quite overwhelming, the straight walk towards God's path, but I was reassured by the power of God's love. I still have a long way to go regarding my journey and I'm thankful that I came across this book. I definitely recommend this to those who want to deepen their faith and commit their lives to serving God. I can see myself rereading this in the near future. Also, this is a good teaching material for Bible study and Sunday School. Michael Youssef received theological degrees from Moore College in Australia, Fuller Theological Seminary in California, and a PhD in social anthropology from Emory University. He traveled around the world on behalf of the Haggai Institute, speaking to thousands of leaders. 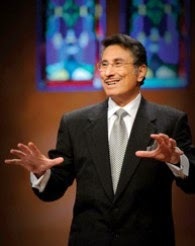 In 1987 he founded The Church of the Apostles in Atlanta, Georgia, which served as a platform for Leading the Way’s international television and radio ministry, where Dr. Youssef is heard daily by millions at home and in over 190 countries (Source: Harvest House).